Underfloor heating is one of the fastest growing home improvement trends in many places in the world. Like any major home improvement project, this project requires an investment but the benefits of underfloor heating are numerous so it surely worth the effort of saving up some money in order to make the required modifications to the house. Underfloor heating can be electric or water based. Water based systems are more expensive to install but they are more efficient to running costs on the long run since they rely on gas. Electric underfloor heating is more expensive on the long run but cheaper to install. Based on your initial budget, you can choose the best underfloor heating for your house but you have to know that both of them offer great advantages. The low maintenance cost is the main reason people choose underfloor heating. This type of heating, no matter if you prefer electric underfloor heating or water based underfloor heating, is more efficient in regards to the utility bills. 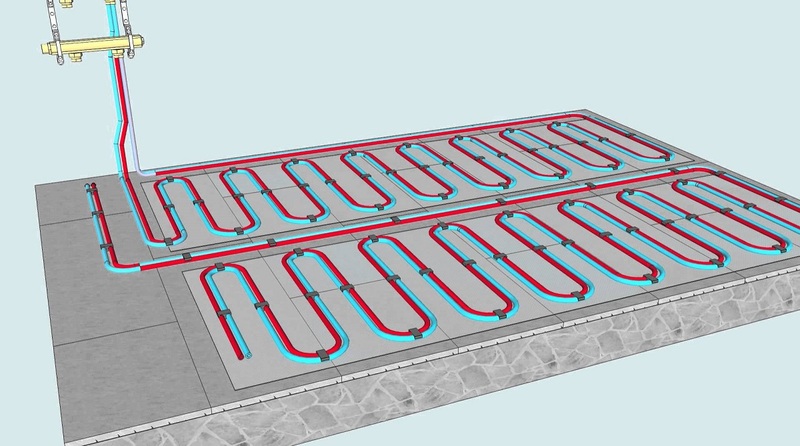 Underfloor heating leads to much better heat retention even when the system is turned down. Traditional radiators cool down quickly and they cannot retain warmth. Since the temperature around the room will be consistent with no areas cooler than others, underfloor heating provides superior comfort plus you can spend a lot of time reading or doing other activities on the floor and you will feel very cozy and warm. As opposed to radiators and other conventional heating devices that create the perfect environment for dust mites in the cold areas at ground level, underfloor heating creates a hostile environment for dust mites that don’t like dry and warm spaces. If you were living under the impression that underfloor heating systems cannot be installed under certain surfaces, you couldn’t be more wrong. This type of system can be installed under solid surfaces, such as stone and tile but also under wood floors and vinyl. If you plan to install underfloor heating in the entire house, you do not have to worry about the temperature preferences of your family members. Each room can have a dedicated thermostat and you do not have to keep one room as warm as another one. If you do not use all the rooms in your house, you can keep the temperature low or even shut the underfloor heating system in order to save money. In cold winters many people use radiators for extra warmth. However, these heating systems can occupy a lot of space and since they do not necessarily have great designs they can affect the aspect of a room. With underfloor heating there is no need to worry about space or appearance. If you do not plan to stay in the same house for ever and you think selling your house in the future is an option you will consider, you will be pleased to find out that underfloor heating adds values to the property. Even though you will have to save up some money to install this type of heating system, you will be able to enjoy the benefits of a more comfortable house but you will also get some of your money back after selling the house.